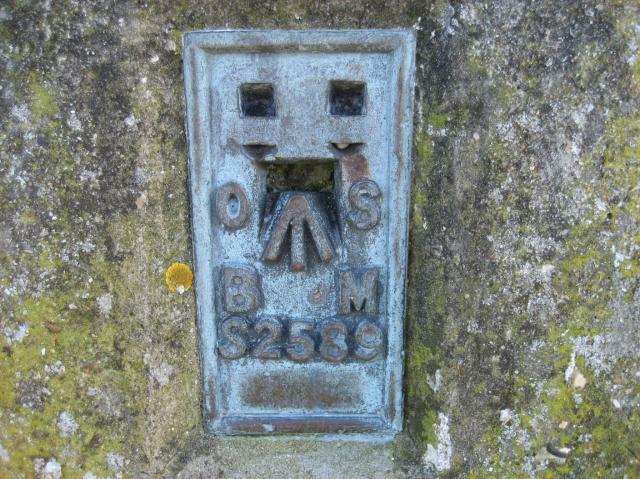 Is ranked joint 2915th with 21 other trigs (more). 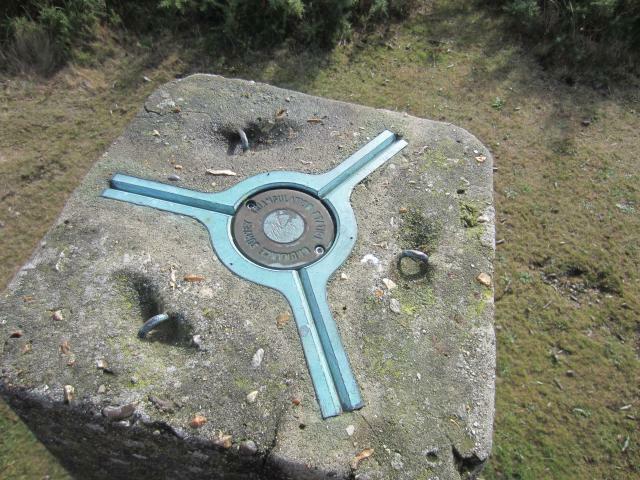 Very boggy ground after rain, so I walked up the track by the pool, then a quick squelch up to the trig above. Reasonable views and in good condition. 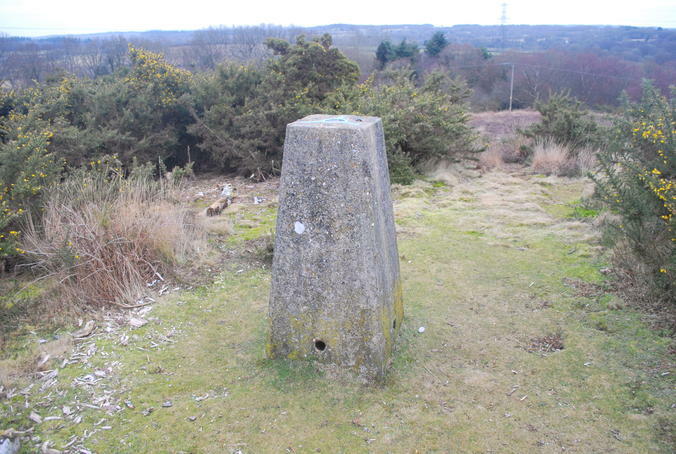 I've thought about trigpointing for some time and I stumbled on this one went walking on Holt Heath so have signed up and logged it. In good condition with fantastic views. 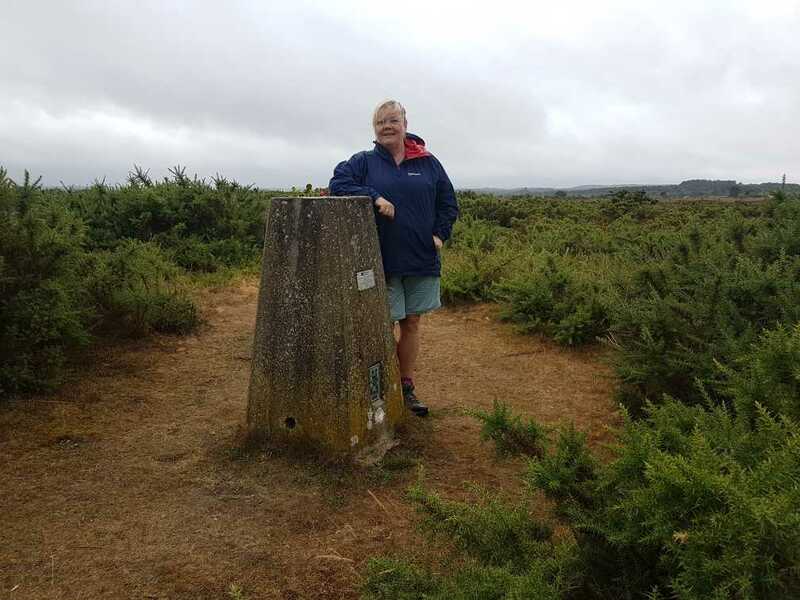 easy walk up from the cattle grid, wet and windy. 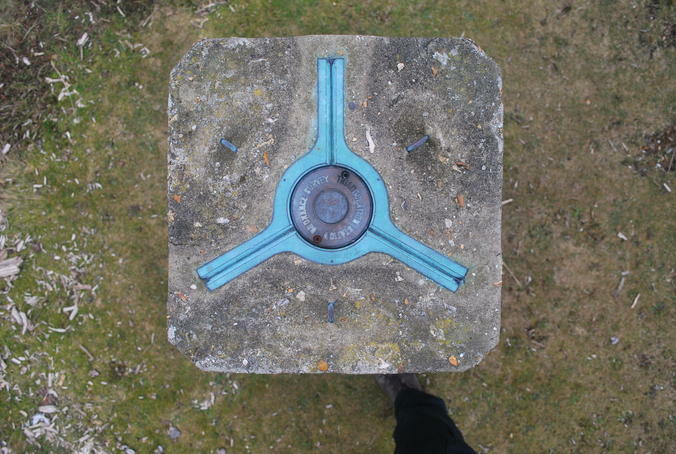 Memo to self: best not to try and bag a trig sitting on a giant sponge after a very wet Easter; it was squelchy. 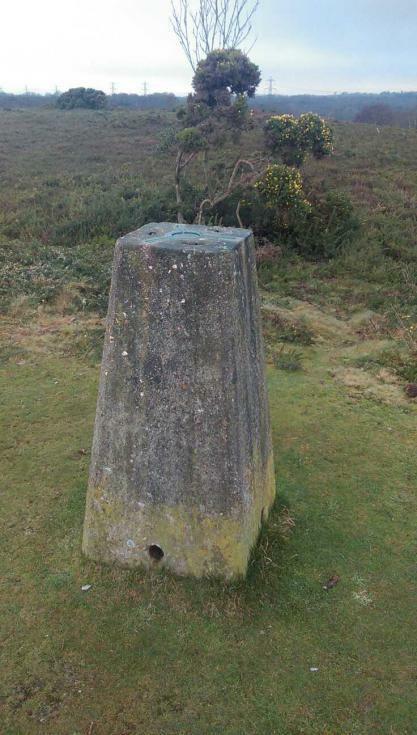 But fine Dorset heathland, with extensive if flat all round views. 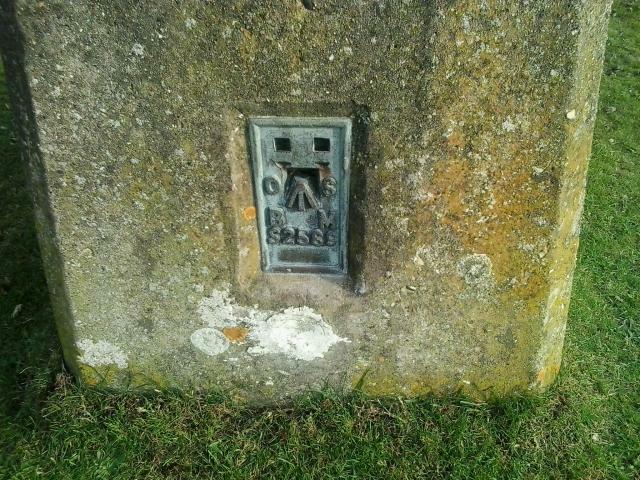 Metal cap, deep letters, GPS plaque, all s/holes except NW open, vgc. Pleasant walk up from the cattle grid. Almost stood on a grass snake but it moved off quickly through the heather. Good views all round. Easy cycle up tracks to get to this. Was stopped by bloke in 4x4 and daughter, on the way up, and asked if i had seen their escaped pony. I hadnt. 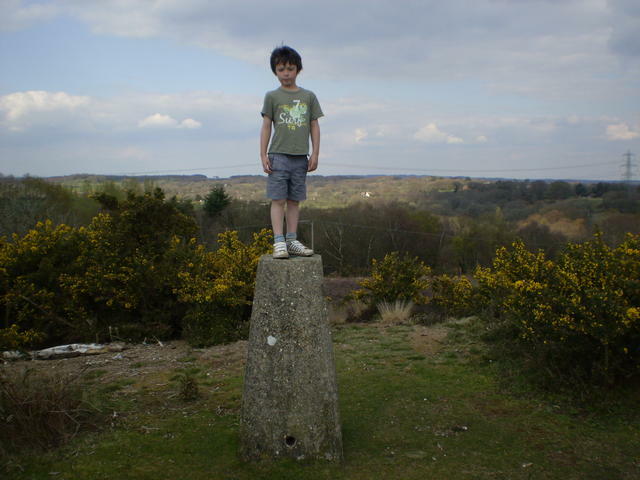 When i got to the trig a boy was standing on the Trig looking for said pony as well. Good views all round. 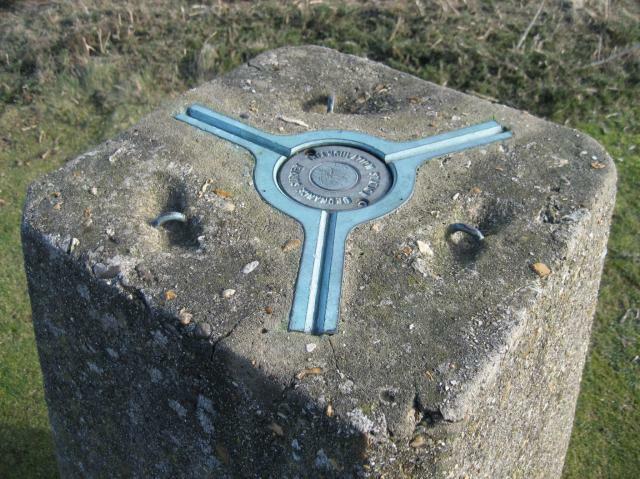 Parked near cattle grid and walked north along path/track turning left up onto hill and trig point. Parked roadside to SW then easy walk along paths to pillar. 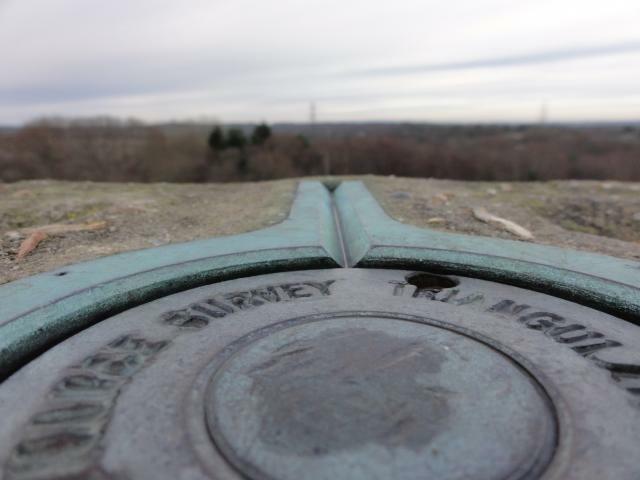 Found it eventually by asking a local, nice views once at the top. Parking about a ten minute walk away. 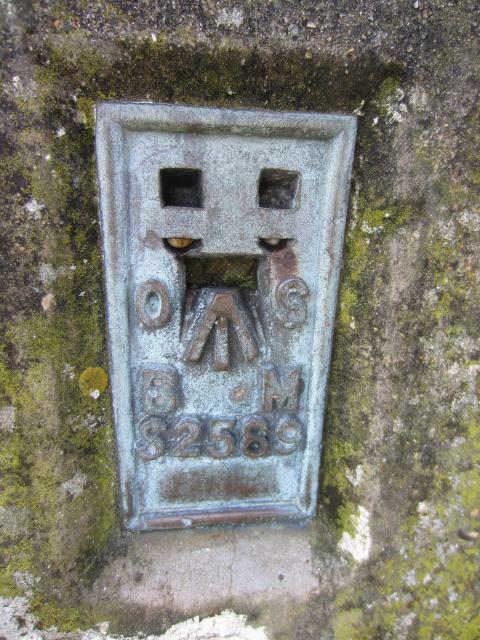 third today of ' David Beckham birthday trig walk' flush bracket numbers. Wonderful heathland, although today visibility was poor with a general haziness and frequent torrential rainstorms. Approached from the south-west through the saturated heather. Just a few hundred yards from the pillar I was privileged and excited to spot a rare smooth snake (ages since I last saw one) - highlight of the day. Pillar fine, no changes since recent reports. 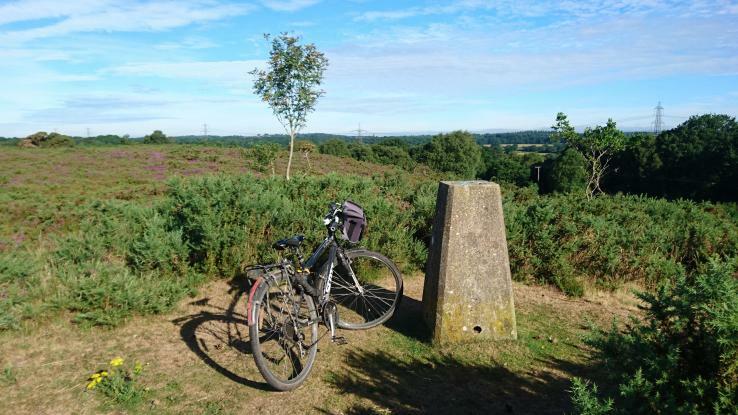 Drove a little too far along deeply rutted track before parking near entrance to anglers' car park and walking half-mile to pillar across rough pathless and boggy heathland. 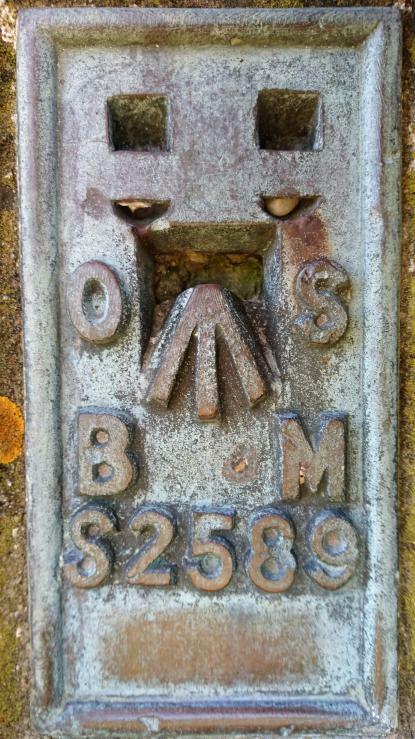 Pillar in prominent position and in good condition; original cap in place, deeply indented lettering; 3 sight holes open. 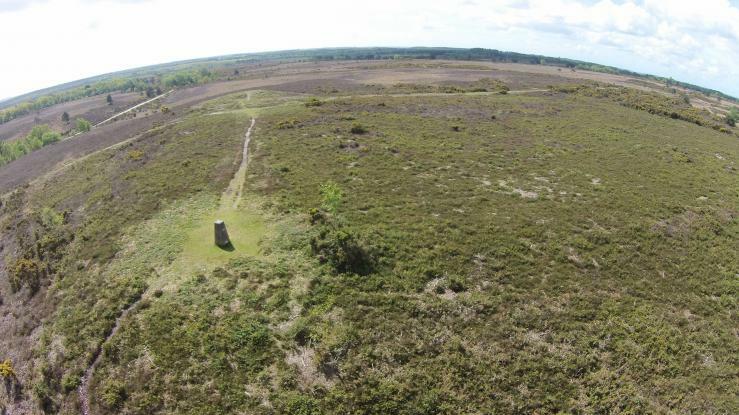 Good 360deg heathland views. 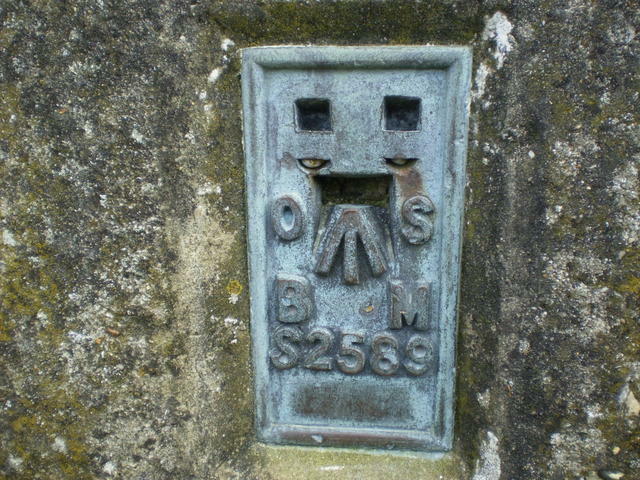 One of the 237(ish) passive network pillars thus displaying the OS info plate. 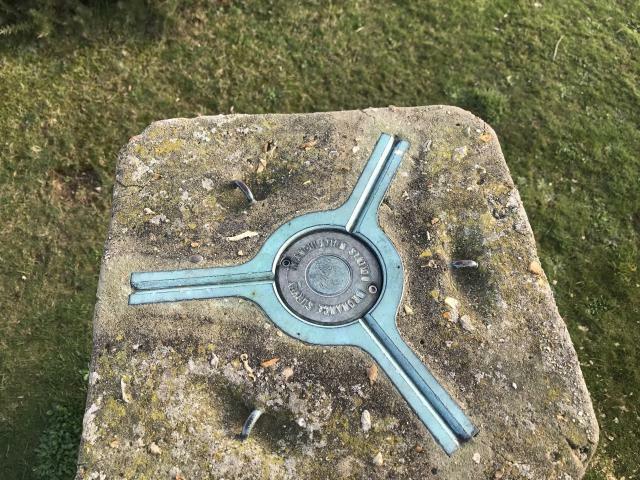 Easy to locate, you can drive along the track in a car and walk to the trig. 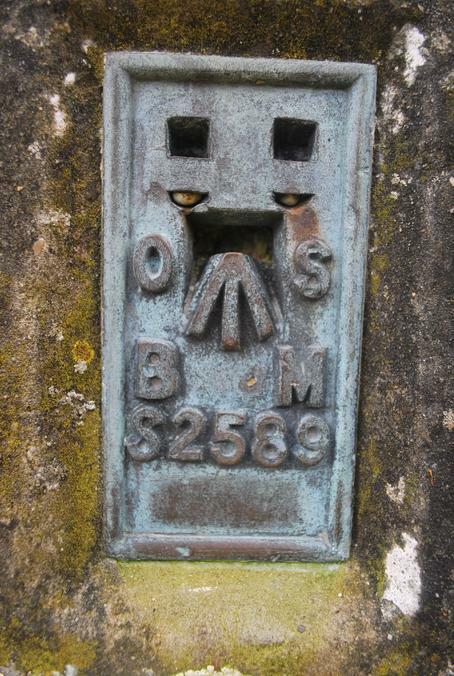 Bagged while on circular walk from Horton. 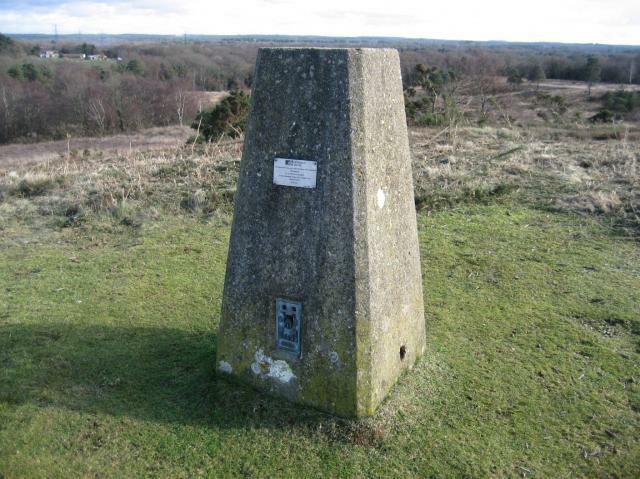 Situated on Holt Heath. Good views (including Horton Tower). Barrow nearby. 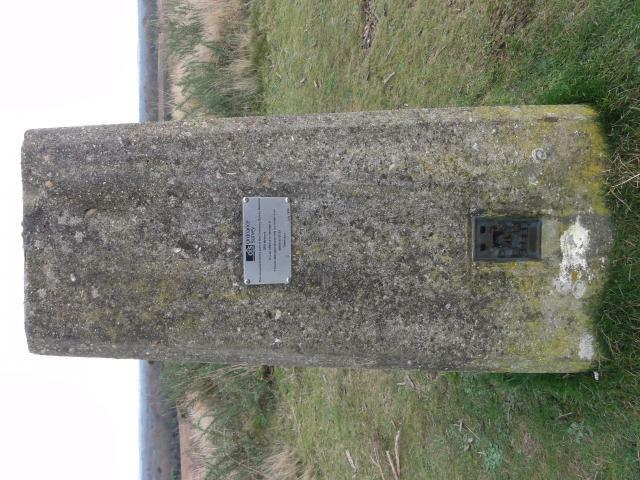 The pillar stands on a small hill in the Holt Heath National Nature Reserve to the north east of Wimborne Minster. 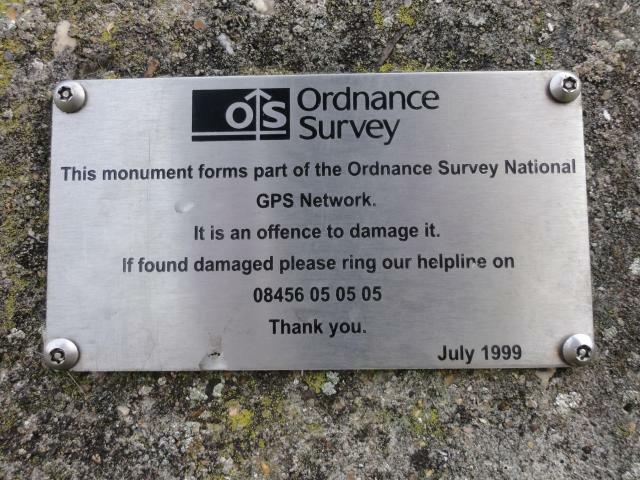 It has a metal plug with deeply indented lettering, an OS GPS plaque and FB S2589. I parked to the south west where the bridleway crosses the road. 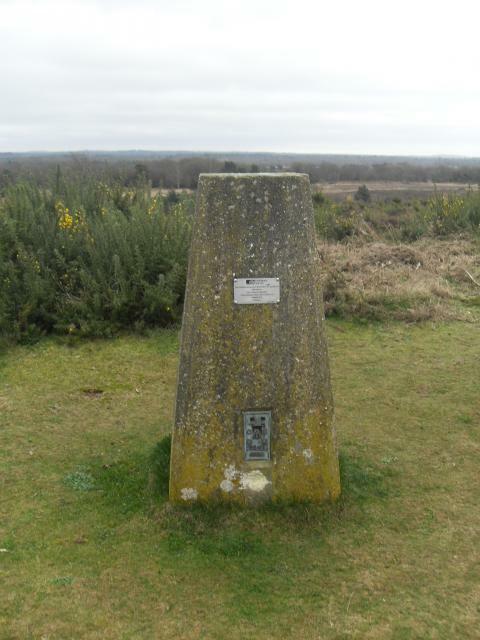 On my circuit of the heath I was often accompanied by the sound of bird song and numerous butterflies flitting around the gorse and heather. The Bournemouth Balloon appeared a couple of times over the southern horizon during the course of my journey. 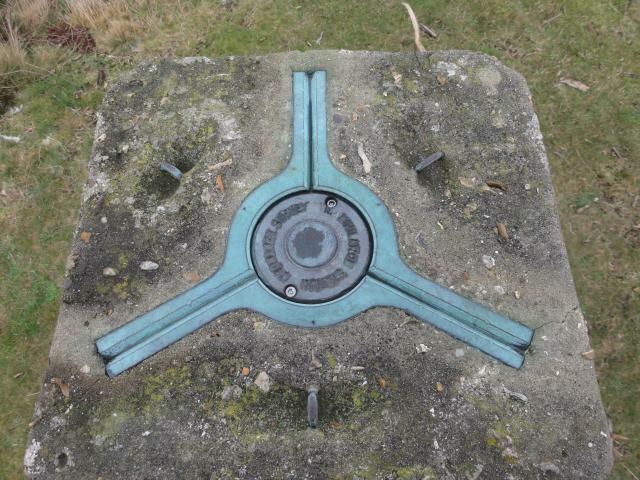 The trig looks out over the surrounding flattish heath and farm land. Low wooded ridges could be seen on the distant horizon. A peacock could be heard squawking somewhere to the north. 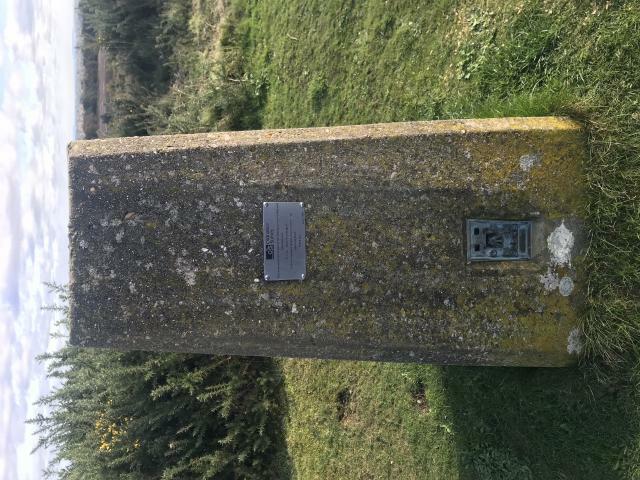 Horton Tower stands on a hill to the north west. 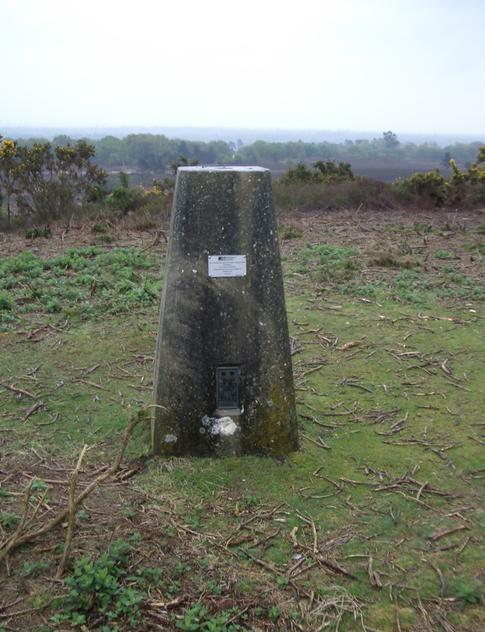 The trig is close to a large bowl barrow and the site is part of the Holt and West Moors Heaths SSSI. Short walk from due S on ROW.Quiet location. 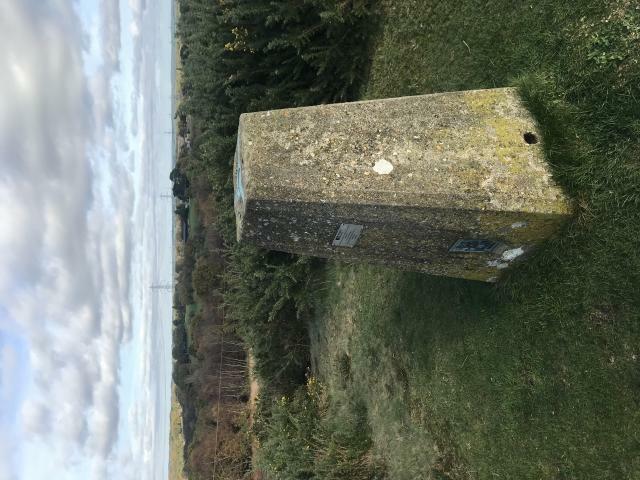 Pillar in good condition surrounded by gorse. 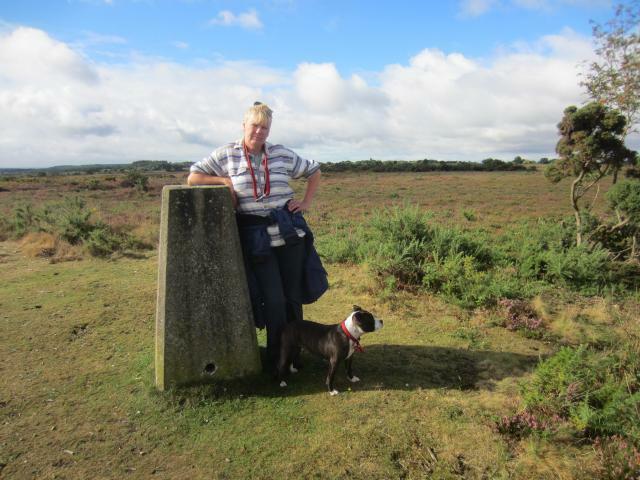 Walking across Holt Heath with Ben and Lucy and Sue and Sox, came across this one, unplanned! 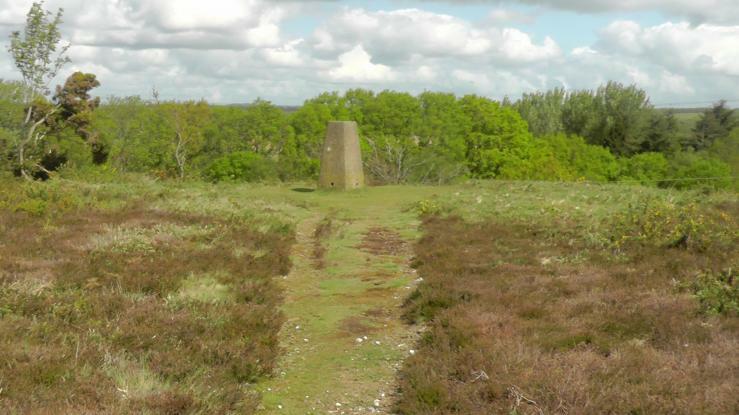 Located on Holt Heath a typical Dorset heathland. Views limited by bushes but there is a distant view of Horton Tower. 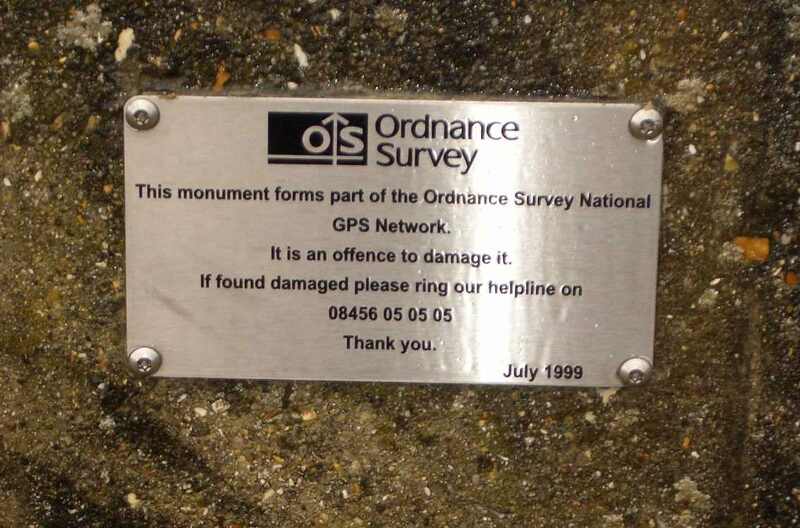 Carries GPS plate. Retains plug. 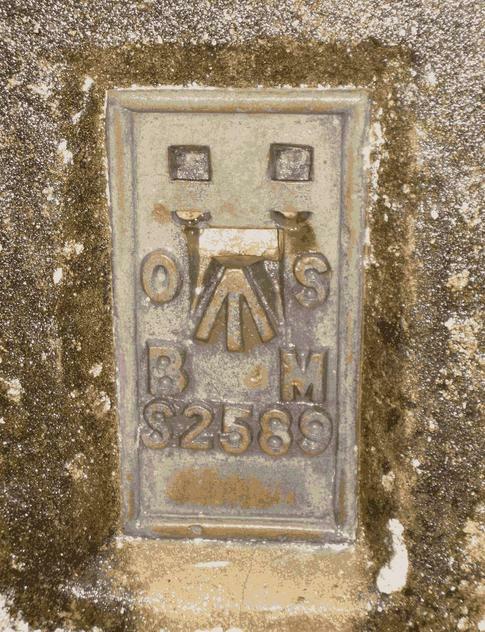 vgc, metal cap, deep letters, by track at gorsy summit. 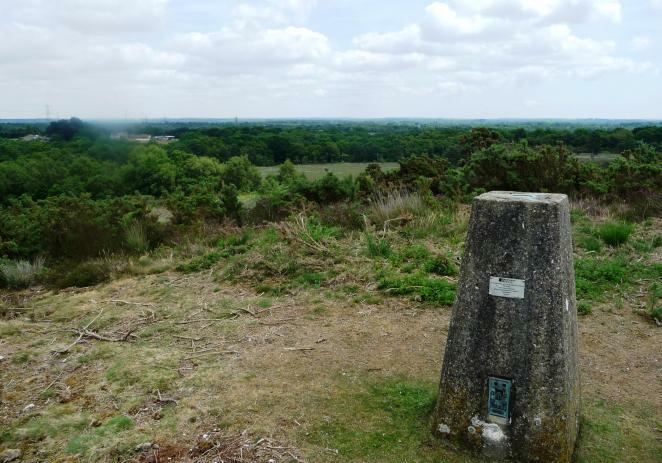 Fine heathland, decent view, in a New Forest kind of way. Caught by a heavy shower on the way back. Easy to locate and access. 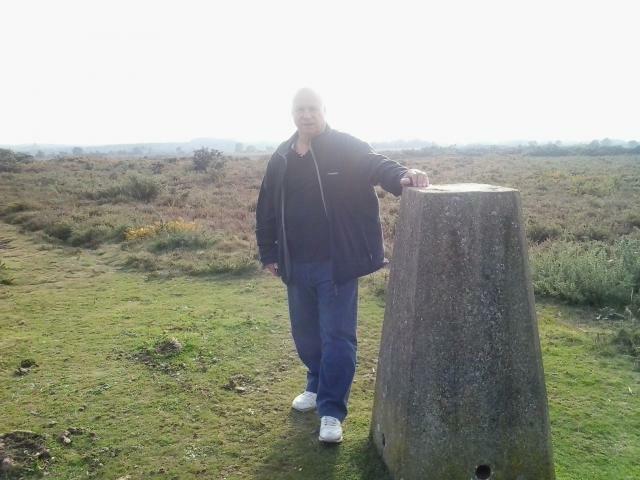 Visited on a nice sunny day when it was possible to appreciate the views and the nice countryside around the pillar. This is one of the largest heath areas in Dorset. It is an excellent place for walks. Looking south you can see the Bournemouth balloon if it is in the air.